Triangle Brick’s Porter is inspired from the Gulf Coast region. With hints of creamy whites and smoky gray tones, this brick is a modern yet refined. The Porter would fit both a traditional and contemporary exterior design. 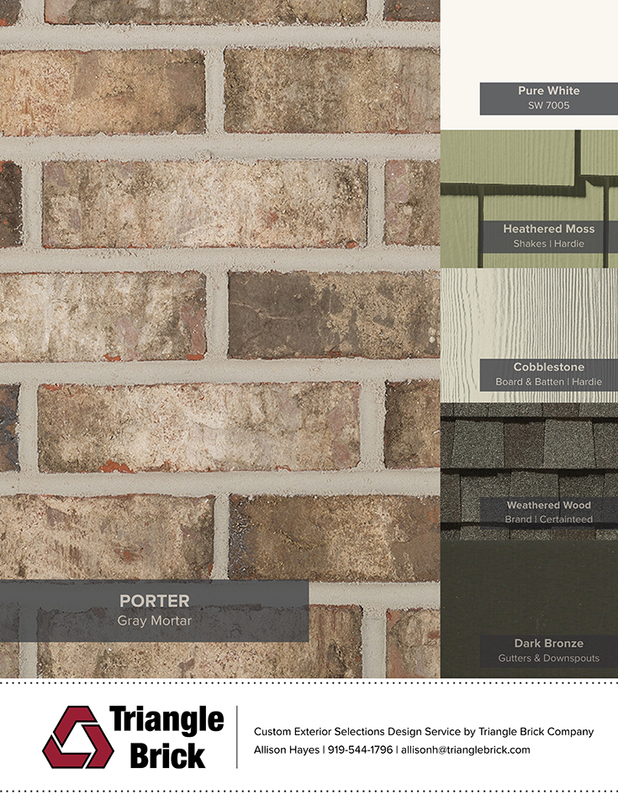 We have put together an exterior color scheme to show you how versatile this brick can really be.